In addition to making it easier for you to view all Happy Mondays in the same place, this also frees up the homepage for our other posts – meaning you don’t have to wade through a barrage of chirpy Monday offerings to find that post you think you might have saw once on overcoming procrastination. A few of my friend’s are back in work this morning after a week or two’s leave. As you can imagine, they’re not particularly looking forward to it. Happy Monday all! 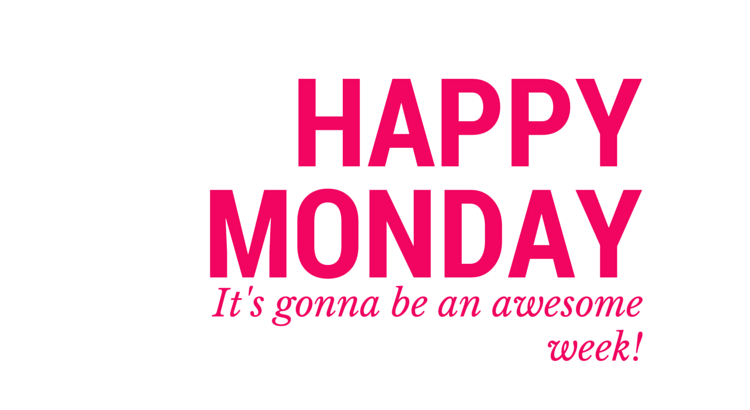 Make it an awesome week… you deserve it!